Front and ice cover the cars as the temperature begins to drop. 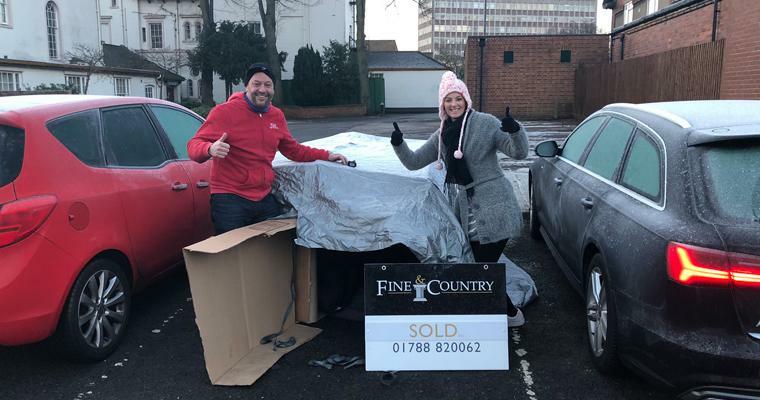 Fine & Country Rugby joined Hope4 for the coldest sleep out they have ever undertaken to raise money to run the Rugby homeless charity, on Friday 1st February. Temperatures dropped to below freezing and reached a bitter -4 degrees Celsius. 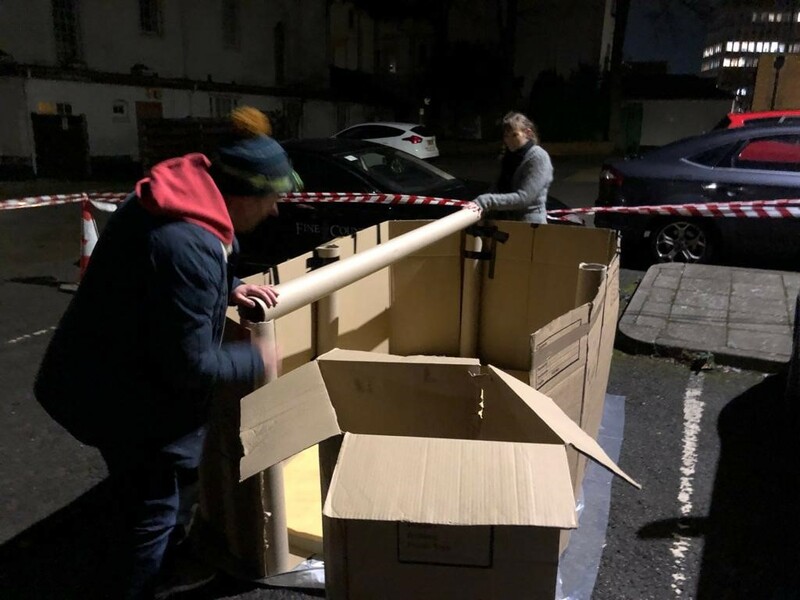 The Fine & Country team remained positive throughout the night and had an entertaining evening with the other volunteers, building cardboard forts and joining together for dinner. 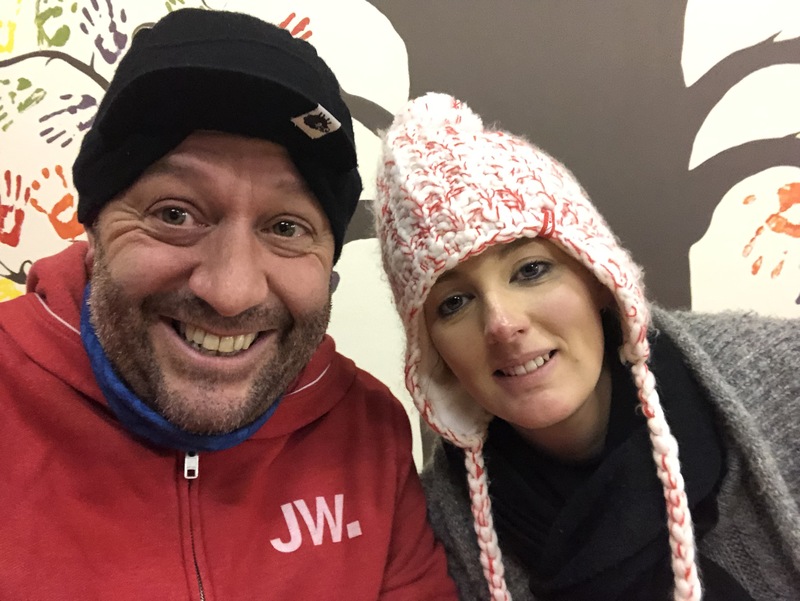 Sam Funnell, Branch Manager, and Claire Heritage, Marketing Manager from Fine & Country Rugby took part in their third sleep out for Hope4. Fine & Country has been a keen supporter of the charity for a number of years through monthly donations, fundraisers and supporter events. 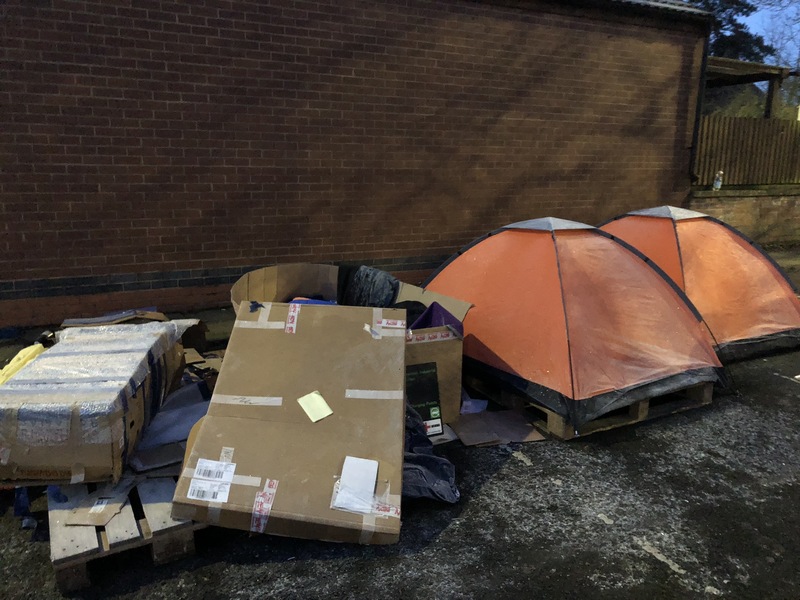 This year’s sleep out, however, put their commitment to Hope4 to the test. Sam and Claire building their cardboard home for the night. Sam was fighting off the flu, but persevered with the event. Sam said: “We made it through what was an extremely cold night. It was incredibly uncomfortable at times, but so pleasing to see 15 other fundraisers all doing their bit for Hope4. Hope4 requires an average of £200 per day to run the day centre. The centre recently opened their new refurbishment of their premises with new meeting rooms, washing facilities and services. NHS nurses visit Hope4 to support their clients’ feet and back issues, a common problem among rough sleepers. Hope4 provides breakfast and lunch for Rugby’s homeless community. Clients can use their time at Hope4 to seek advice, learn computer skills, apply for jobs, relax and socialise. Other make-shift structures to protect themselves from the cold. Frosted ground covers the car park. Sam and Claire with big smiles and red noses having a morning cup of tea at Hope4 after the sleep out. Support your favourite homeless causes and have the full support of The Fine & Country Foundation. Take part in one of our organised fundraisers from our 2019 events calendar, request a bespoke event, or apply for a grant this spring.